Josette is an accomplished executive coach and organization effectiveness consultant, specializing in taking already successful business leaders and their teams to the next level of performance. Josette has over 25 years experience working in both internal and external roles within global Fortune 500 organizations. Her highly successful career as a corporate executive and business owner includes experience in the wholesale, retail, financial services, professional services, healthcare, manufacturing, communications, technology, telecommunications, advertising, media, and marketing industries, as well as academia. Josette’s diverse experience equips her to ask the questions that business leaders need to answer to reach the next level of performance. Josette effectively partners with all levels of clients, from managers to executives, to develop solutions that address their specific business needs. Josette has spent her career focusing organizations on aligning priorities, systematically developing goals and action plans, and inspiring leaders’ passion for excellence. Josette’s persuasive and collaborative style supports rapid resolution of business issues and productive relationships. She has demonstrated success in assisting her clients meet their financial and operational goals by focusing on analysis, planning, and execution. 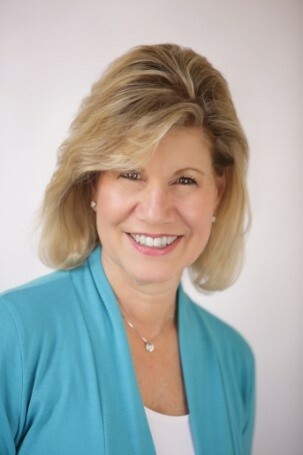 She has worked with numerous clients including Whirlpool, Disney/ABC, CF Industries, Adventist Midwest Hospital, CDW, Edward Jones, GCG Financial, Kohls Retail Stores, Lake Forest Academy, The Marketing Store, US Cellular, RLL Associates, Multiform Fitness, Bridges Court Reporting, DeVry University, University of Chicago, Red Box, and CF Industries. Josette has spoken extensively on the topics of leadership and management, including multi-generational differences in the workplace, managerial courage, executive presence and impactful communication. Josette is a graduate of DePaul University. She is a member of the International Coaching Federation (ICF), Human Resources Management Association of Chicago (HRMAC), and the Society of Human Resources Management (SHRM). She is an active mentor to executives nationally that are affiliated with Healthcare Businesswomen's Association (HBA), Professional Women's Club of Chicago (PWCC), and Menttium. She holds both a Senior Professional Human Resources (SPHR) and SHRM - Senior Certified Professional (SHRM - SCP) designation. She also holds a certification from the International Business Coaching Institute (IBCI). She has served as a mentor for the DePaul School of New Learning. She has cofounded, and led several business networking groups. She is on the President's Council of Almost Home Kids. Josette, her husband, and their three children like to spend time skiing, scuba diving, and playing music in the northwest suburbs of Chicago. Josette also enjoys hiking, dancing and golfing.